OnDeck (NYSE: ONDK) is the leader in online small business lending. Since 2007, the company has powered Main Street’s growth through unmatched lending technology and a staunch dedication to customer service. 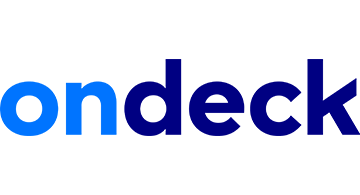 OnDeck’s proprietary credit scoring system – the OnDeck Score® – leverages advanced analytics to make real-time lending decisions and deliver capital to small businesses in as little as 24 hours. OnDeck offers business owners a complete financing solution, including the online lending industry’s widest range of term loans and lines of credit. To date, the company has deployed over $4 billion to more than 50,000 customers in 700 different industries across the United States, Canada and Australia. OnDeck has an A+ rating with the Better Business Bureau and operates the educational small business financing website BusinessLoans.com. For more information, please visit www.ondeck.com.